Despite years of hype and countless studies, many still find open innovation an abstract concept. Even though a few common key success factors for open innovation can be named, there’s plenty to be learned from companies who’ve actually been using open innovation. This post gathers examples and key learnings from a wide range of companies using open innovation in different ways. Some of them use open innovation to add value to their hardware, while others use it to gain more information for developing new products. These 16 examples of open innovation should encourage and inspire you to apply the concept to your own business! Think about the different types of co-operation, key stakeholders and potential collaborators. How do you motivate them to participate? The stakeholders from our examples of open innovation range from product users to smaller companies, that complement the product or help solve your problems, all the way to scientists and individuals wanting to participate in order to learn new skills and gain valuable experience. You might have heard about Quirky, a community-led invention platform. The concept behind Quirky is that you can put your product idea up on Quirky and others within the Quirky community can comment and contribute to your idea. If the idea is good and gains traction, it can be developed further by people on Quirky. Quirky members have a wide range of special skills, so you can collaborate with those that complement your expertise. Thus, the ready product is developed by the community. The best products on the platform are chosen by Quirky for manufacturing and sold at the Quirky store. The process at this point is financed by Quirky, so having your own company and resources isn’t crucial for your product’s success. But why would people share their expertise and develop ideas that are then manufactured and sold by Quirky? You can get your product idea out there with much less effort. If you want to make your idea a reality, Quirky offers a simple way to do so. You can learn and get to use your talent to acquire more experience to put to your CV, and perhaps be one step closer to your dream job. If the product ends up being a success you can earn money from being part of developing it. If the idea is originally yours, you may get royalties depending upon its success. This is what makes Quirky an active platform with an active community. The practical teaching from the Quirky example is that there is a way to get people ideating for you even for free. By assessing problems that many have to deal with or by creating challenging tasks, people get motivated to collaborate with you. To cultivate this collaboration and create an active community, an appealing online presence will go a long way to make sure people find you. Even though you might recognize Samsung from several plagiarism case convictions, Samsung has also been qualified as one of the most innovative big companies today. Of course, Samsung has a major internal R&D unit, but the company is also a proud open innovation advocate and does open innovation collaboration especially with startups. The distinctive part of Samsung’s open innovation collaboration is that Samsung divides it to 4 categories. The four categories are even described as being the "four legs of the open innovation activities" at Samsung. Partnerships are essentially collaboration between companies, such as startups in Silicon Valley. Typically partnerships aim for new features or integrations within Samsung’s existing products. Ventures can be described as investments into early stage startups. These investments can bring revenue in case of exits, but also provide access to new technologies that Samsung can learn and benefit from. For example, Samsung has invested in Mobeam, a mobile payment company. Accelerators provide startups with an innovative and empowering environment to create new things. Samsung offers these startups an initial investment, facilities to work in, as well as some resources from their vast pool. The idea is that the products stemming from the internal startups could become a part of Samsung’s product portfolio over time or just serve as learning experiences for the company. Acquisitions aim to bring in startups working on innovations that are at the core of Samsung's strategic areas of the future. These acquisitions often remain independent units and can even join the Accelerator program. As an example of Samsung’s collaboration with startups, Samsung has acquired an IoT company called SmartThings to gain an IoT platform without having to spend the money, and time on R&D. Samsung sees potential in the IoT industry and views it as a strategically important part of their future business and thus an area where they want to be forerunner. SmartThings still continues to operate as an independent startup fueled with the resources of a big company. With the investment, potential and home electronics of Samsung, SmartThings can really be developed into an integral part of Samsung products, by creating new IoT possibilities for homes. On the other hand, the kind of companies that aim for new innovations requiring high initial investments are typically better invested in or just acquired. So, the main learning point from the Samsung case is that different kinds of companies at different stages of their lifespan offer different kinds of possibilities. You should identify these and figure out the methods that best match the different kinds of opportunities. Local Motors activates its open community through its Co-Create platform. The designed vehicles are then manufactured through, for example, 3D printing. The key part in Local Motors’ product development is its completely open innovation platform. You don’t even need to be registered to their platform-site to see the new designs that the community has envisioned. In 2015 Local Motors had an Urban Mobility Challenge: Berlin 2030, the aim of which was to envision the future of transport in Berlin. Now, one year later one of the envisioned transport solutions has already seen daylight. It’s one of the most known Local Motors Co-Creation products, Olli, the self-driving smart bus. Apart from being self-driving, Olli also works through your phone. You can choose your routes through Olli or even create new ones. 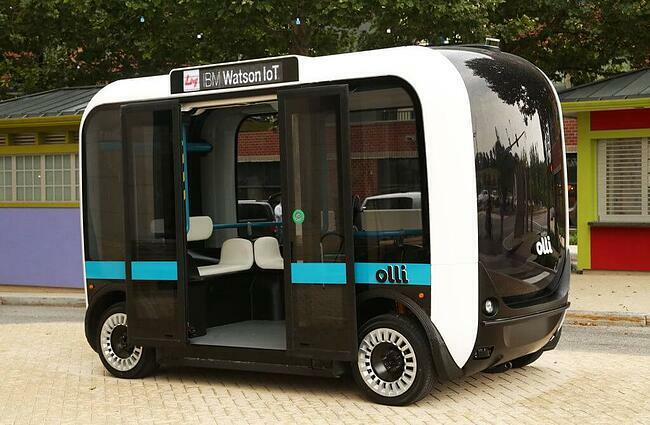 Olli is not just some envisionment of the faraway future, it’s actually hitting the streets of Washington D.C.
Like other designs, Olli has been developed through the Co-Creation site after the initial design. You can, in fact, see the conversations and ideas that the community has posted there. The site even has ongoing development: Currently, they are looking for solutions in universal interface improvement and a superior suspension development. Local Motors has positioned itself as an open innovation company in an industry that’s traditionally everything but open. The company actually challenges collaborators to make a difference and be a part of the change. This makes them stand out from their competitors. The fact that this openness is clearly a fundamental part of Local Motors, makes people see that open innovation is not just a marketing trick, but at the very core of the way they work. This positioning and “strength of openness” is a great foundation for standing out and building collaboration. As a result, Local Motors benefits from an active and motivated community. The community is a great advocate for the company. So, in order to create an engaged community, you need to make sure that you’re committed enough for people to really believe in your initiatives. Most of the medical R&D is still done in the traditional, costly and slow way. The United Genomes Project (UGP) was established to solve this problem. The project uses open innovation to create breakthrough medical innovations in Africa through their open source genetic database. Gaining knowledge of different genomes is important, because depending on your DNA, different medicines actually work differently in your body. While traditional ways of medical R&D don’t support personalized medicines, the UGP does. The UGP makes it possible for African medical professionals and aspiring practitioners to use this open data to create new innovations. The idea for the UGP spur from the fact that the founder, Geoffrey Siwo himself, made a breakthrough medical finding with the help of internet databases while he was an undergraduate in Kenya. The discovery wouldn’t have been possible without the online resources and information, as he didn’t have the means to gain that knowledge through expensive research methods. Some scientists have resources to gather costly genetic data but others don’t. However, the need for new medicine has no boundaries. The UGP enables cost-efficient open innovation to take place anywhere, and this can kick off new breakthrough medical innovations. It’s also noteworthy that as diversity (geographic and otherwise) is good for successful innovation, open innovation makes it possible for literally anyone with adequate skills to participate, as Siwo’s personal experience teaches us. Most importantly, the fact that open innovation could speed up R&D and innovation drastically. Also, this kind of initiative to work for a good cause has many benefits for the company. One is, of course, the good PR that these kind of initiatives most likely generate. However, being part of making a difference is a great motivator for your employees in itself. Lego is another example of how engaging your users creates more value. Lego activates its users through its Create and Share site as well as the Lego Ideas site. The Create and Share site lets Lego community members share their designs and Lego pictures, while the Ideas site actually aims for new product releases. 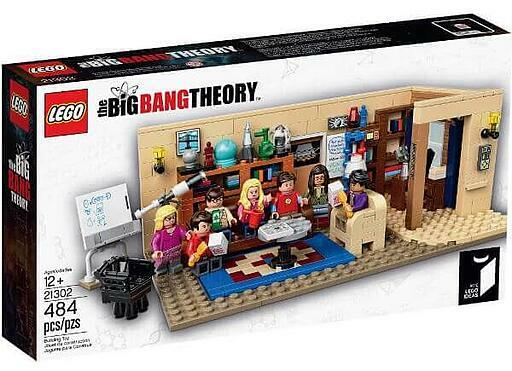 As an example, the mini-Big Bang Theory Lego set is a community-based product that originated in the Lego Ideas. When the amount of supporters reaches 10k, Lego evaluates the design and the design can hit the stores under the Lego Ideas product label. The idea for mini-Big Bang Theory was submitted over 2 years ago and it took the project over 10 months to get from the Ideas site to production. When the product ideas are approved for production, the original community members that ideated the product also get monetary compensation. The mini-Big Bang Theory is just one example. More recent products that are yet to be released in the Lego Ideas series are, for example the Adventure Time themed set and the Beatles - Yellow Submarine set. The community provides Lego with thousands of new ideas annually, which means that Lego has a steady flow of free ideas that people are already waiting to buy. This open innovation approach in their product design phase is said to be one of the core factors for Lego’s successful brand. It has definitely been one of the things that saved their brand and made them stay at the top of the market. If you make products directly to consumers, aim to activate your users into helping you create products that fit their desires. When the users interact with one another and tell you what they would want to see on the store shelves, you probably have ready demand, and can save a lot of resources on market research and reduce the inherent risk in R&D. Getting their voices heard can build a base of committed users. Just make sure you have the capability to implement at least some of the most popular ideas and communicate that well so that your customers can feel like they really made an impact. Could user activation and participation bring you value, or are you on a market that requires you to take a different approach? It’s noteworthy that the same model of user activation might not work as well in other kinds of environments, such as in some B2B contexts with a smaller customer base. One thing that rarely gets connected with open innovation is open source development. When you think about it, open source software development is very much open innovation: in open source software development, the source code of a product is open and pretty much anyone with decent skills can be a part of the software development. Open source software development typically aims for free products that anyone can contribute into. This means that you get diverse people all over the world to engage in the projects. Mozilla is a great example of this type of open source software development. Their product is the Firefox web browser, developed by Mozilla’s worldwide community of coders and other professionals. Mozilla has been at the forefront in advancing this kind of product development, and the development activities are carried out by Mozilla’s community where there are both volunteers and paid employees. People are motivated to volunteer at Mozilla because it is a great learning experience, they get to be a part of a community and are able to take part in Mozilla events. If you want to participate in the Mozilla product development, it has been made easy. For the first step, you can start off with little things like reporting bugs to get involved. More information about the different ways for participating can be found through Mozilla’s website. Apart from volunteering, you can also apply for their internships and job openings. So from this perspective, Mozilla operates somewhere between a non-profit association and a company. What we can learn from Mozilla is definitely the importance of fostering a community. As there are plenty of examples on the benefits of open innovation communities, it’s also worth it to learn from open source communities. Could you benefit from opening up parts of your R&D to create this kind of a community? Talented people join Mozilla’s communities to learn, get experience, meet people, contribute to the product and maybe even to be hired at some point. They seem to have their offerings for community members in order. So, think about how you could motivate and foster your community. What could you offer to get people to be excited and participate? There is an interesting internal open innovation example within Facebook. At Facebook, they organize hackathons for their employees. The idea of these hackathons is that the employees generate new ideas and innovations and make initial versions of them. These hackathons are not only for developers, but for anyone within the company. The point is that you work with something that you don’t work with on a daily basis. It’s argued that doing things outside your day-to-day work and enjoying making a difference within the company are what generates outside-the-box creative thinking. Of course, you can’t undermine the effect of diversity in these hackathons either. Developers and architects might have certain ways of thinking, so it makes things interesting when you get ideas, for example, from people who work in the finance or marketing department. When your employees meet each other across all the departments and other barriers that they normally have, they actually transmit tacit knowledge, the sense of team spirit across the company and build meaningful relationships within your organization. All this happens while the employees are creating and innovating something new for your company. When this kind of collaboration is typical for your organization, you also create a product-innovation centered culture for your workplace. 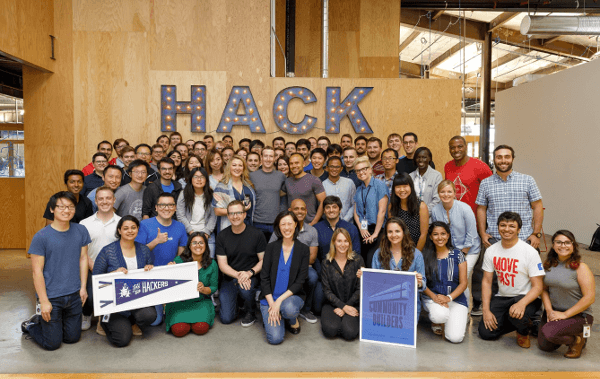 These hackathons are quite productive for Facebook. There are plenty of feature examples that can be traced back to these hackathons. For example, the like-button, live chat, and the Facebook timeline are ideas that have sprouted from Facebook hackathons. The pride flag feature, that allowed you to modify your profile picture to support the LGBTQ community in 2015 was created at a Facebook hackathon. The idea was coined by two Facebook interns. Through the hackathon, it fastly spread throughout the company and ended up being released for public use. This example shows that your job title doesn’t necessarily matter when having a great idea. Include the whole of your employee body. If your employees are knowledge workers and you pay them for their creative thinking, it makes sense that you include all of them in the process of innovating new products and features. Anyone can have a groundbreaking idea and it pays off to listen to them. Opening up innovation internally has both short term and long term benefits. In the short term, you can get new ideas to develop your business, and in the long run open internal innovation can be a great tool to motivate your employees and boost the development of both their thinking and skills. You should be able to teach this mindset of creatively and proactively solving problems to all your employees. And remember, not all internal open innovation occasions need to be full-on weekend long hackathons, you could also have many of the benefits from practices like shorter idea challenges. GE is famous for their open innovation challenges and initiatives on their open innovation page. These challenges aim for external open innovation and new ideas. Through these challenges, GE familiarizes itself to future potential talents around the world. The benefit of this is that GE gets connections to talented young people on top of the innovation work in open innovation challenges. GE’s innovation challenges and the possibilities they offer also affect the employer image of GE in a positive way. Open innovation can be used as a way to connect with talented young professionals and recruit new talent for the company. The innovation challenges for individuals and universities can be a good way to do this. 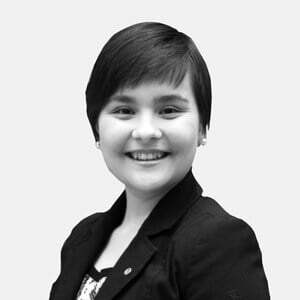 They enable you to see the potential of young talents in a much wider angle than in a regular job interview, case interview or even take-home exercises. Moodle is a learning platform that many universities and other educators use worldwide. The company itself originates from Australia, and is completely open source. This means that there is an open community behind Moodle and it's free for anyone to use, which is why schools, universities and other educators prefer it. Moodle originally came about at the start of this millennium, when schools started to use more technology. Hence, there was a great blue ocean market space for this kind of a solution. What makes Moodle tick, is the fact that its users create new value for the company at all times. There are over 70,000 registered sites that have over 10,000,000 courses on the platform with almost 90,000,000 users on the whole. That’s more than the entire population of Germany! The distribution of Moodle is quite good, so it doesn’t need to market its product as much as emerging companies in the same field. It also has an open development roadmap, so everyone can see the future direction of the product, which gives further confidence to make the choice of starting to use the product. Even though the timing of Moodle was on point and that played a great role in Moodle’s success, the key success factor from the open innovation perspective is that Moodle has a large sharing community that generates new users, as well as the openness of their development roadmap. Thus, we can learn about creating value for users through expert users, such as universities. Moodle offers the platform that quality educators use worldwide to contact their students and to communicate with them. This makes it easy to spread. Moreover, the fact that Moodle works very openly and has an open development roadmap means that it’s trustworthy: everybody knows what’s going on and what new features the company is about to implement. It’s worth to take a minute and think how you could gain trusting and committed users that spread the word, in turn generating new customers for you. P&G’s open innovation with external partners culminates in their Connect+Develop website. Through this platform, P&G communicates their needs to innovators that can access detailed information related to specific needs and submit their ideas to the site. Connect+Develop has generated multiple partnerships and produced relevant products. P&G recruits solutions for various problems all the time. 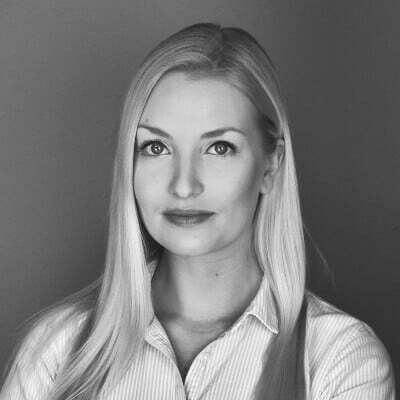 As an example, P&G’s COVERGIRL bypassed a lengthy R&D process by partnering up with OraLabs to publish a new lip balm, a market that was suddenly trending. As time is money, especially with trendy products, the collaboration with OraLabs really benefitted COVERGIRL. On the other hand, as P&G communicates its needs openly, it creates competition for the solution providers as well, which is of course great news for P&G. Let others know what your needs and problems are. 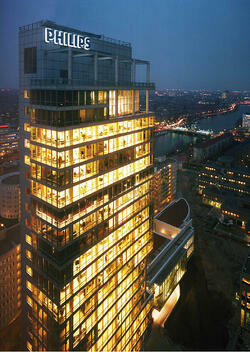 This makes it possible for others to propose customized solutions for you, which enhances competition. In the best scenario, you can pick the best innovator for your solution. Opening up about problems and needs can also bring great connections that you wouldn’t otherwise have found at all. Being open about the problems that you have might be a scary idea, after all, not only possible collaborators but your competitors will be able to see what you are working on. Despite this, there are great benefits about opening up about your needs to companies that could solve your problems. The collaborative relationships can also last for decades, ending up being helpful on more than one occasion. P&G often refers to collaboration with long-lasting partnerships as being efficient because you already know each other's working practices inside and out. On top of the fact that being completely open gives you the best chance to get outside-the-box solutions that you wouldn’t have thought yourself, it’s also possible to create your own trusted community that you can share your problems with. Nivea’s B&W deodorant is a strong example of activating users throughout new product development from ideation to implementation. 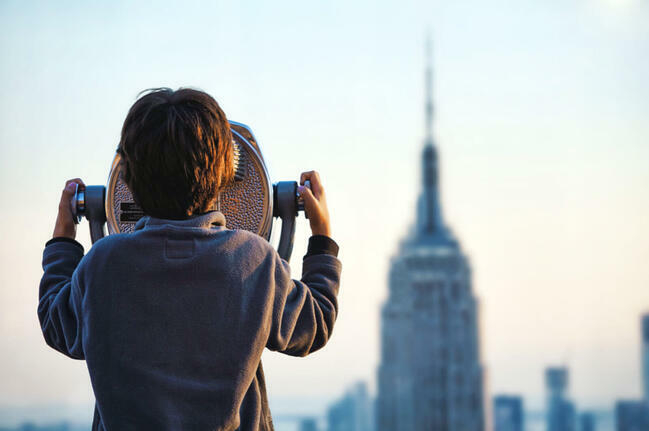 The intimately open collaboration with possible partnering companies happens via Beiensdorf’s pearlfinder, which might be interesting to take a look at. However, the real case that we can learn from here is Nivea’s B&W deodorant’s development. The idea for Nivea’s B&W deodorant was coined together with Nivea’s users through social media. The way Nivea collaborated with its users throughout the R&D process is very interesting. They basically shared what kind of product was needed, what seemed to be the reason behind these stains in the first place, and how they could be prevented. The resulting B&W deodorant then became the first deodorant on the market that prevents white and yellow stains from appearing. Beiersdorf then partnered up with a company they found via pearlfinder and developed, together with the users, the B&W deodorant. This admittance of issues in their product could have been seen as a sign of weakness, however, users were very active in collaborating with Nivea and the end-product ended up being a great success. Your users might have surprising problems that you could solve. User involvement and activation might be a good idea in engaging them to collaborate with you. Even if open innovation collaboration may seem frightening to you, listening to your customers needs is common sense. So keep your eyes and ears open (also online!) for all ideas that come from your potential and existing users. Of course, Nivea could have invented the invisible B&W deodorant by traditional means, but it would probably have cost more time and money. Nivea also gained visibility and committed customers by including them in the innovation process, which thus doubled as marketing. Open innovation is not just a cool way of doing things. It can have major cost benefits too. Do you know what your users are thinking of your product? Maybe there is a way of involving your users in the process, thus giving you helpful insight into their needs, wants and ways of bettering your product. Philips has a wide range of open innovation activities. It has the platform, the challenges and it activates its own employees to think openly. 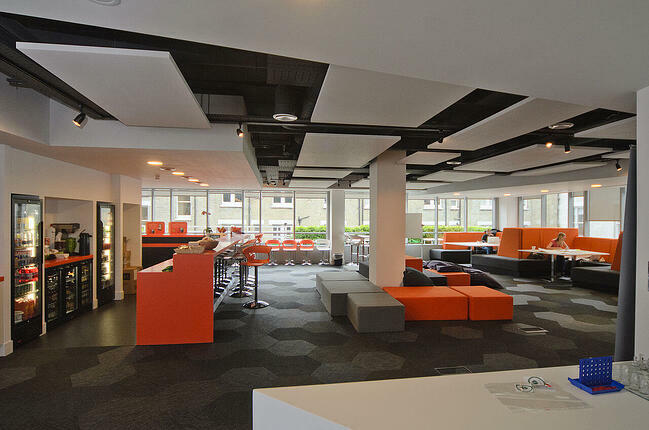 Philips also established its own open innovation campus at Eindhoven in 2003. 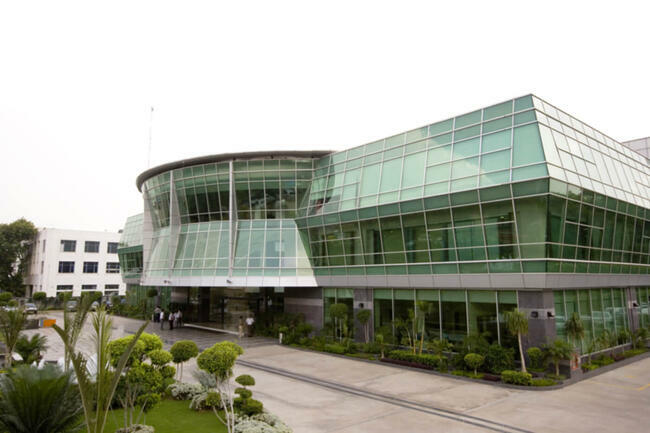 The High Tech Campus is open for a variety of companies to work in. It offers them tools to help accelerate their business and research projects. Basically, the campus has been said to be a post-stamp-size Silicon Valley in Europe. The physical proximity has enabled Philips to work closely with other technology companies and make use of most of their projects. Currently, the campus works on its own, but Philips’ presence is still there and it continues to gain from the physical open innovation space. The possibility to actually work physically together has created an innovation ecosystem in Eindhoven with over 140 companies with varying sizes working in the same small area. Creating and being present in spaces where there is a possibility to collaborate together is great for open innovation. Nothing builds collaborative and trusting relationships between companies and research groups like the possibility to visit one another casually on your coffee breaks to talk about what you’ve just been working on. Even though technology gives you the possibility to open up your innovation to the masses, physical proximity is still a key factor in one-on-one close collaboration. However, physical proximity is not always necessary. Companies can have active platform collaboration online and hold open innovation challenges worldwide. 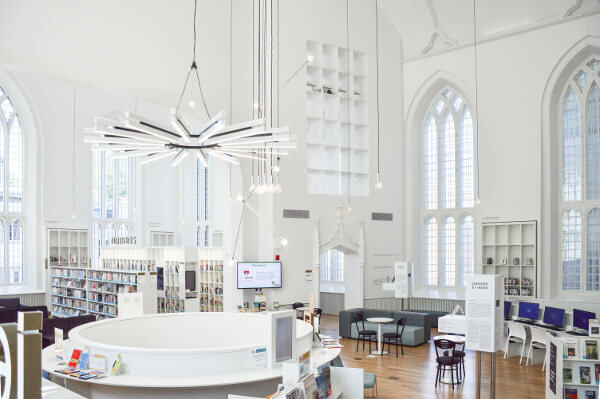 Still, if you work closely with others and want to establish close personal connections, you could benefit from these physical spaces that enable concrete encounters. Could proximity with collaborators be beneficial to your company? Apple is a typical example of a company that is very closed and secretive of its R&D, so what is it doing on this list? Despite the closedness of Apple, they still use open innovation on their own terms when they think open innovation is suitable. Take the apps on iOS-products as an example. 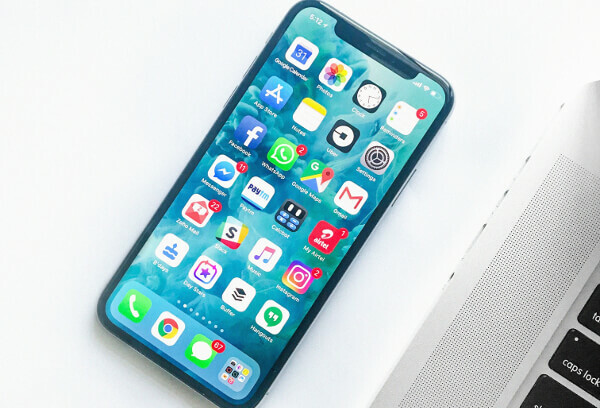 Even if Apple’s product quality is top notch, it is first and foremost the quality and wide range of applications available for Apple products that makes them so valuable. The logic behind the idea, that others can create applications on your platform is very smart. Think about iPhone users (and all other smartphone users for that matter). They have all kinds of needs that phone makers or operating system makers don’t have a clue about. Some are interested in their health, others are into mobile gaming, some in news, books and music etc. With all the possible apps, users can customize their user experience exactly like they want to, and all of this benefits both the platform and the users. The key learning point here is that you can restrict the amount of openness in open innovation. What Apple does is that it regulates and controls its open innovation so that application developers can create their products to work in the Apple environment. This way they can be distributed through Apple’s channels with little to no visibility in the other aspects of Apple’s internal R&D. However, achieving this kind of a position and control is not easy, nor is it always feasible. You have to think if having control actually gives you enough value. Regulating the openness means that also the outcome possibilities of collaboration are restricted one way or the other. For example, the collaboration can fail to create breakthrough innovations. Moreover, convincing others to engage in open innovation with you despite restraining the collaboration can be hard unless you clearly have a winning platform. So be careful on how you control the cooperation. Due to Apple having a great brand and a winning platform, a high level of control is possible for them, but how about you? General Assembly is a school, that provides online and on-campus courses, that help people gain work life relevant know-how. Typically the course contents are related to the modern needs and technologies in today’s work life. The offering is both for students that simply want to learn and make connections in the community, and for companies that want to provide their employees with courses. General Assembly incorporates open innovation through their community, developing their offering based on the needs of the changing work life. They are also actively seeking new partnerships. The community is used for connecting talented young professionals (current and former students) with companies looking for such. General Assembly teaches people skills, that lead them to paying jobs and offers tools to help in building their own companies. So in a way, General Assembly is a personal accelerator for its students! As an example, there is General Assembly’s Web Development Immersive (WDI) course. Through this course, students learn how to develop web software professionally. The students also complete several projects that provide them with the skills applicable for real work life situations. 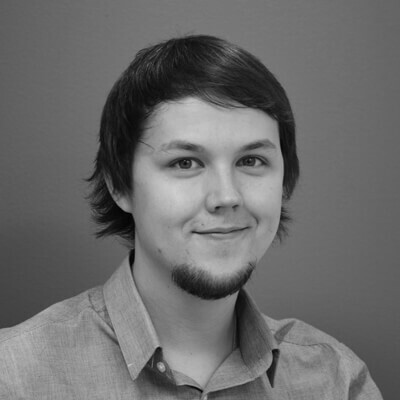 For example, Nathan Maas created his own service based on what he learned on the WDI course and now has a company called pennypost. The open community of General Assembly made it possible for Maas to start his own company with people that liked his idea. Several fellow students and instructors actually joined Maas to create pennypost after the WDI course. The fact that these kind of innovative companies and individuals have their roots in the General Assembly means that they get visibility. Thus more and more companies want to hire from their alumni, in turn attracting more students. General Assembly listens to and reacts to what its customers want to learn and teach. The skills that they teach are very much related to the new needs of working life, skills that companies want to hire and teach their employees. Being nimble and developing its offering to match the needs of the society is what makes General Assembly more attractive to students. The problem with traditional schools is that the curriculum tends to change slowly in them. While the demands of businesses are changing rapidly, what you learned in school doesn’t often prepare you for real work-life situations with adequate skills. General Assembly is a very good example of being open to the needs of its users and meeting constantly changing requirements.It's also open to new skills and instructors who have something to add to their offering. Telegram is a messenger application that works on computers and smartphones very much like WhatsApp. What makes it different is how much users can contribute to its content openly. What makes Telegram interesting and popular is the fact that you can customize it to your liking. Users with any developing skills can create their own stickers and bots (i.e. their own content) on the platform. While Telegram can be used like a regular messenger, it’s also possible for users to customize their user experience by themselves. Even though instant messaging is a very competitive market, Telegram has gained a lot of users because of its ease, openness and the fact that you can create your own content. The Telegram company sometimes even grant prizes for new content. Custom stickers makes it possible for you and your friends to make stickers of the funniest moments you’ve shared. Telegram also promotes the best stickers updating an in-app list of the trending ones. When users can create almost any kind of feature they want, you can benefit from the best innovations. Telegram can even bring the most popular features forward to all users. So it might be a good idea to let your users create what they want to on your platform as it might just be enough to differentiate your product from all the others! Also, having the users configure a product to exactly match their needs creates a positive lock-in effect. Why would you want to change the product to a substitute, when others can’t be made to match your preferences? Lilly is a pharmaceutical company, that has applied open innovation via its Open Innovation Drug Discovery program (OIDD) . In OIDD scientists (at universities as well as companies) can safely share biological data that aims for new drug discovery. Lilly then offers modern tools and help in screening and researching the data. So basically OIDD is a platform that enables companies to find new drug compounds faster. OIDD is also a platform for generating R&D partnerships with Lilly. With the OIDD Lilly has generated a wide, Open Innovation 2.0 like open innovation network. In the network, all parties can benefit from the new value created within the network, in this case, from the new drug discoveries. Hence, new discoveries lead to new medicines faster. This open way of working enables Lilly and other scientists to find new possible drugs and cures for severe diseases faster than before. Researchers apart from Lilly get the tools to test their compounds, while Lilly gets a great database of compounds. On the other hand, Lilly obtains connections that it can use when possible drug solutions are found. The Lilly example demonstrates an open innovation network, and how that positively affects Lilly’s own R&D. The OIDD platform speeds up new drug discoveries, and when new drug compounds are found, Lilly can collaborate with the finding company. In the end, Lilly might be able to manufacture the end product and be the one to sell it. This kind of open innovation network can be issued in many ways, like via this case’s open innovation platform. You might not even need to create the network yourself as there are many existing open innovation networks that you might be able to join. If you are still apprehensive about open innovation because of problems with potential intellectual property rights, you might want to reconsider. Lilly is a big company in the pharmaceutical field, a highly patented and IPR restricted industry and while they’ve certainly had to address these issues, they’ve made it work. And if they can make it work in the pharmaceutical industry, why couldn’t you? Hopefully this post has inspired you to come up with ways to incorporate open innovation to your business! In the spirit of open innovation, our aim is to keep this listing up-to-date and as inclusive as possible! If you come across examples of open innovation that haven’t been listed here, even though they definitely should be, please write to us! 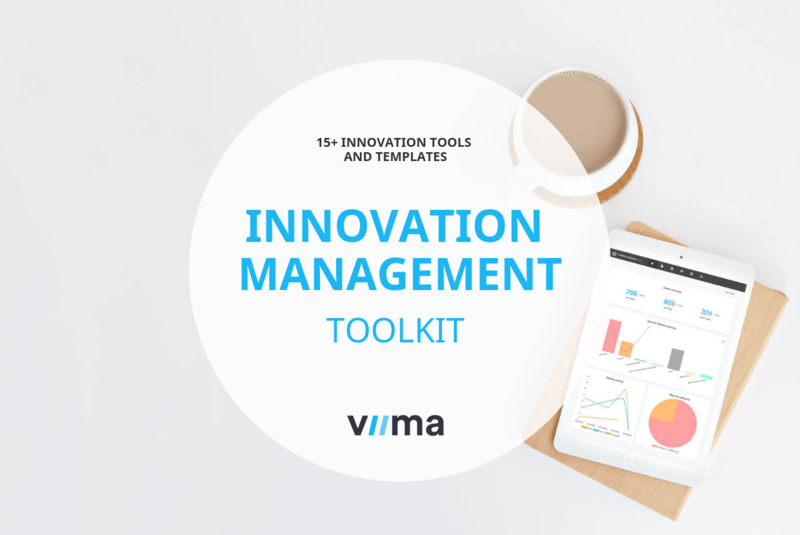 Oh, and while you're on your way to make more innovation happen in your organization, we thought you might want to have a look at our innovation management toolkit, where we have gathered some of our favorite innovation tools, templates and guides you can use for planning and executing your innovation activities.